OVERVIEW: Praised as “another gem unearthed by HBO” (San Francisco Chronicle) and “flat-out inspired comedy” (The Wall Street Journal), the second season of Bored to Death keeps the laughs coming as Jonathan Ames, a noir fiction-obsessed writer who moonlights as a private eye, continues to deal with the mounting mishaps that befall his life. 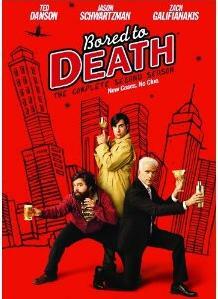 Loaded with entertaining bonus features, both the 2-disc DVD and Blu-ray sets of Bored to Death: The Complete Second Season will be released on September 27, 2011. 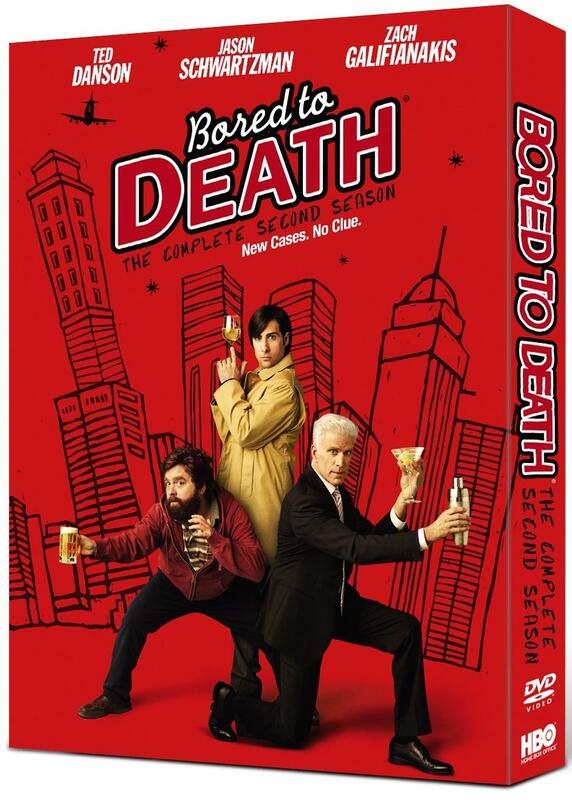 Bored to Death: The Complete Second Season on DVD and BD contain hysterical bonus materials that give viewers an in-depth behind-the-scenes look at Ames’s amusing and quirky world. Features include hilarious never-before-seen deleted scenes, outtakes, “Inside the Episodes” segments, and five audio commentaries featuring Schwartzman, Danson, writer/series creator Jonathan Ames, director Michael Lehmann and director/consulting producer Alan Taylor. Guest stars this season include Emmy® nominee Kristen Wiig (Saturday Night Live), Emmy® nominee and Golden Globe® winner Kevin Bacon (HBO’s Taking Chance), Emmy® and Golden Globe® nominee Oliver Platt (Frost/Nixon), John Hodgman (The Daily Show) and Oscar® winner Olympia Dukakis (Moonstruck). SYNOPSIS: This season, Ames (Jason Schwartzman) has recently finished his second novel (which remains unpublished) and decides to augment his meager income by becoming a creative-writing teacher, while also taking on new, even more desperate clients. With his continuing misadventures alongside his henpecked friend Ray (Zach Galifianakis) and eccentric boss George (Ted Danson), how he solves anything is a mystery.